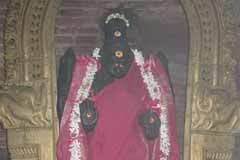 The temple is praised in the Thevaram hymns of Saint Sundarar. 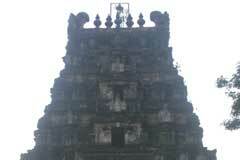 This is the third temple in Nadunaadu region praised in Thevaram hymns. Sun God performs Puja to Lord on the first three days of Panguni (March-April) by spreading His rays on the Lord. 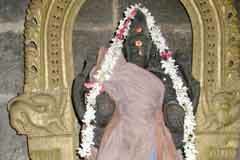 Sri Vallabeswarar Temple, Tirukoodalai Attrur, Cuddalore district. 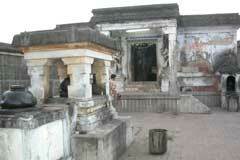 The place is revered as Dakshina Prayag as Manimutharu and Vellaru rivers confluence here. 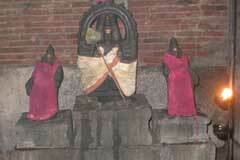 This is one of the temples that has a shrine for Chitra Gupta, the accountant of Yama the Lord of Death. 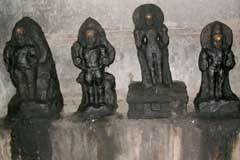 There is no shrine for Navagrahas but one for Sani Bagwan respected as Pongu Sani meaning prosperity giver Sani. Those undergoing the seven and half year Saturn period are advised to pray the planet and Adhikara Nandhi during the Pradosha time – 4.30 p.m. to 6.00 p.m. each day-to reduce the intensity of Saturn aspects. Sage Agasthya had a son named Karthyanan. He also became a great Rishi as his father. Agasthya prayed for a daughter. The sage found a girl child playing on the Lotus leaves in Manimutharu river, took the child and brought her up naming Ambujavalli. 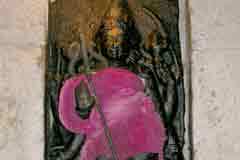 When Lord Vishnu took the Varaha Avatara, He saw His consort Mahalakshmi as Ambujavalli and had Her hands in marriage. 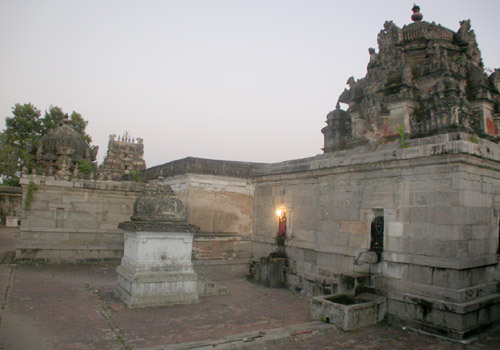 There is a shrine for Lord Vishnu in the <?xml:namespace prefix = st1 ns = "urn:schemas-microsoft-com:office:smarttags" />Temple. 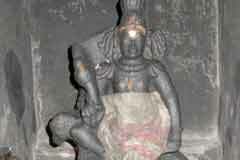 Tiru Koodalai Attrur is 20 km far from Chidambaram. 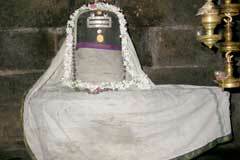 The temple can be reached through buses bound to Srimushnam running via Chetiathoppu. Hotel Priya Inn: +91-98946 26157.